Explore the numerous day-trip ideas around Rovaniemi: Amethyst Mine Lapland (in Luosto), Sampo Icebreaker (in Kemi) and Pyha-Luosto National Park (in Pyhatunturi). There's much more to do: find something for the whole family at Santa Claus Village, pause for some serene contemplation at Rovaniemi Church, make a trip to Lordi's Square, and take in the views from Lumberjack's Candle Bridge. 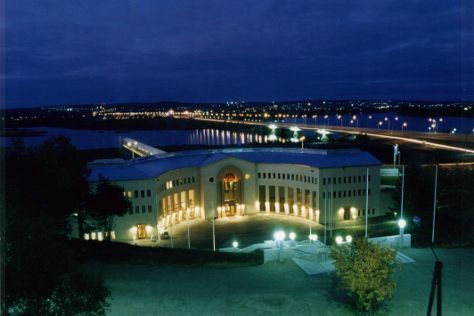 For other places to visit, where to stay, maps, and tourist information, refer to the Rovaniemi road trip website . In December, daytime highs in Rovaniemi are -6°C, while nighttime lows are -13°C. Finish your sightseeing early on the 18th (Tue) so you can travel back home.